CD Review: Bravo Delta's "Acoustic Sessions"
Indie artist Bravo Delta is releasing an album of acoustic tracks entitled "The Acoustic Sessions." His smooth, powerful voice would be better suited in-front of a band of top-notch rock musicians. His song "The Product" has a good melody, but lacks the punch that a supporting band would provide. "Rainfall" has the perfect sound to capture his singer/songwriting talents and would work just as well with a band as it does acoustically. The song "Moonchild" has the lyrics and melody to make this a bigger song with the addition of more instruments. Bravo Delta's song-writing is top notch with some great lyrics. While many of the songs on this EP sound very polished, some still sound incomplete without that burst of energy behind it. Bravo Delta does not have any shows booked at the moment, but check out bravodeltamusic.com for any upcoming shows and album information. A New Year Means Time For New Music! The first Cromwell Record Riot of the new year is this Sunday, January 30th. The location is the same, Crowne Plaza off exit 21 from I-91. The time is the same, 9:30 am to 3:30 pm (8 am early admission). The price is the same, $3 admission ($10 early admission). The only thing new is the music you'll be bringing home. So many vendors, so little time. Come early, pace yourself and go home happy with so many new goodies that you won't mind being snowed in until April. 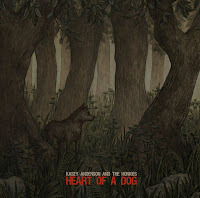 CD Review: Kasey Anderson Has The "Heart of a Dog"
Red River Records will be releasing the new album by Kasey Anderson & The Honkies called "Heart of a Dog." This album is Anderson's first attempt at a true Rock 'n' Roll album. The album features Andrew McKeag (The Supersuckers, President of the USA) on guitar, Eric Corson (The Long Winters) on bass and Mike Musburger (The Fastbacks) on drums. The album also contains guest appearances from The Decemerists and Richard Fontaine. The album begins with a loose, bluesy guitar riff as the song, "The Wrong Light" sound like something out of Stone Temple Pilots' book. 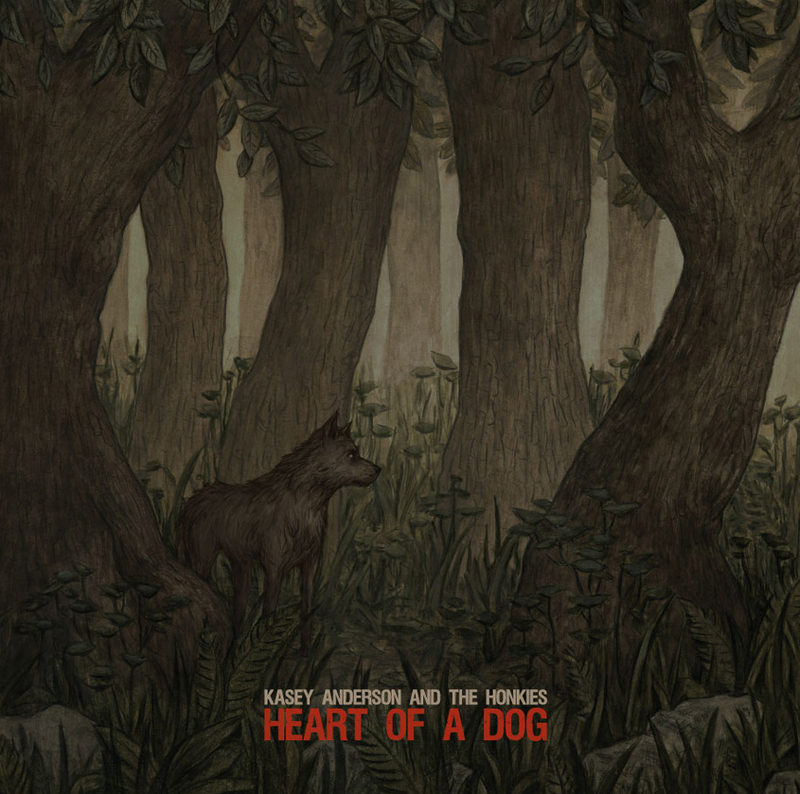 The rock 'n' roll sound that Kasey Anderson was looking for is found in the song "Mercy." The jamming rock guitar and catchy chorus make for a great combination in music. The slow burn of "Your Side Of Town" finds Anderson and his band reverting back to his alt-country sound, but they quickly turn up the volume and tempo with "Sirens and Thunder." The album definitely rocks with the raw guitar of "My Baby's a Wreking Ball" and the J. Geils blues of "Revisionist History Blues." Kasey Anderson & The Honkies have a handful of dates in the Seattle, WA area. For tour dates and album information, please visit kaseyanderson.com. Punk rockers Less Than Jake are currently on tour in support of the new EP entitled simply "TV/EP." The EP was released in October 2010 by the band's own record label Sleep It Off. Less Than Jake are also in the process of reissuing a couple of the group's biggest selling albums, "Losing Streak" and "Hello Rockview." Look for those releases coming March 1st. The new EP features the band putting their own spin on TV theme songs and commercials without taking away each show's familiar jingle. They perform theme songs from some of today's biggest kid shows like iCarly and Spongebob Squarepants along with classic shows like Different Strokes and Laverne & Shirley. In between the theme songs, the band also performs short little commercial snippets like Hungry, Hungry Hippos and Oscar Mayer Wieners. The EP is great fun to listen to over and over again. Don't forget to catch them live on their latest tour. They will be performing at the Webster Theater in Hartford, CT on Friday, January 28. 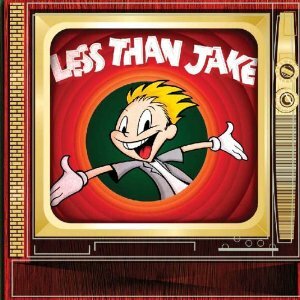 For a complete list of tour dates and a great video that was created especially for this "TV/EP" release, check out the band's website, http://www.lessthanjake.com/. CD Review: Grammy Nominated Trombone Shorty's "Backatown"
The album "Backatown" is the latest release by multi-instrumentalist Trombone Shorty and is up for "Best Contemporary Jazz Album." Trombone Shorty has worked with the likes of Eric Clapton, Lenny Kravitz and Dr. John. The album features Trombone Shorty's trademark sound of funk, rock, r&b and hip-hop. No one song on the album is like any of the others, but together they make for a very interesting listen. The album's lead-off song "Hurricane Season" dives right in with horns and guitars whipped together to create funk-rock perfection. "Something Beautiful" sound like an out-take from one of Prince's funk albums with a catchy bass groove. 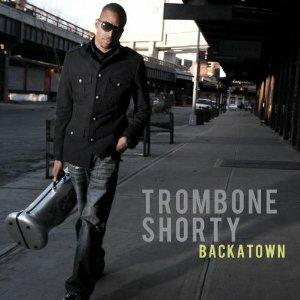 The album's title song "Backatown" plays out like a soundtrack to a movie or television show with Trombone Shorty leading the way with his instrument of choice. The band rocks with its jazz infused sound on "Right to Complain" and "Suburbia" before returning to a more traditional jazz sound in "In The 6th." But, Trombone Shorty and the boys can't stay away from the hard jazz/rock sounds in "The Cure." "Backatown" spent 9 weeks at #1 on the Billboard Contemporary Jazz chart after its release last year. Trombone Shorty will be hitting the road beginning in February and making his way to Connecticut on the 27th for a show at Infinity Hall in Norfolk. For a complete list of tour dates and album information, visit his website, tromboneshorty.com. CD Review: Rondi Charleston Gives Us The "Time"
Contemporary jazz singer/songwriter Rondi Charleston will be releasing her Montema Music debut album "Who Knows Where The Time Goes" in February 2011. This album will follow her critically acclaimed 2008 release "In My Life." The album's title song, originally written by Sandy Denny, shows off the soothing, sultry voice and passion that Rondi Charleston puts into every performance on her new album. She adds her own flair to covers of Stevie Wonder (Overjoyed), Rogers and Hammerstein (This Nearly Was Mine) and Bobby McFerrin (Freedom Is A Voice). But, it is her own compositions where we see Rondi shine the brightest. The gentle stream of piano in "Your Spirit Lingers" puts Rondi's vocals out in front for your ears to absorb. The songs "Dance of Time", "Land of Galilee" and "Song for the Ages" follows perfectly along that relaxing jazz format that makes you can't help but press repeat. Rondi Charleston will be on tour in 2011 promoting her new album. For information and tour updates, visit rondicharleston.com. 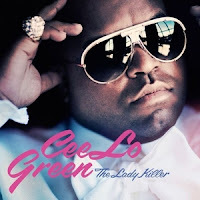 CD Review: Cee-Lo Green Presents "The Lady Killer"
Cee-Lo Green, one half of the duo known as Gnarls Barkley, has released a new solo album last year entitled "The Lady Killer." The album debuted in the top 10 on the Billboard album charts and has received numerous positive reviews calling this his best album to date. The album is bookended by "The Lady Killer Theme" which gives the album an overall theme of fighting back from rejection. The "Billie Jean" sounding "Bright Lights Bigger City" draws you in with its storytelling lyrics as Cee-Lo sings the chorus masterfully. The album's lead single "F##k You" has a great Motown influenced sound that you can't escape from. The lyrics may be about rejection, but there is no chance at rejecting this song's catchy sound. Cee-Lo features singer Lauren Bennett on the dance-floor inviting "Love Gun." One of the album's highlights is the Prince sounding "Satisfied." The playful lyrics get highlighted with horns to give the song an irresistible pop sound. "I Want You" sounds like a left-over track from a Gnarls Barkley album while "Cry Baby" brings Cee-Lo's vocals some Motown funk. 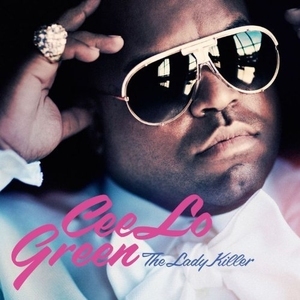 Cee-Lo gets to expand his pipes on the R&B flow of "Old Fashioned" which shows off his singing talent. "The Lady Killer" as been nominated for four Grammy awards including "Record Of The Year." Cee-Lo will be heading overseas following the Grammy awards. For tour dates and album information, check out ceelogreen.com. 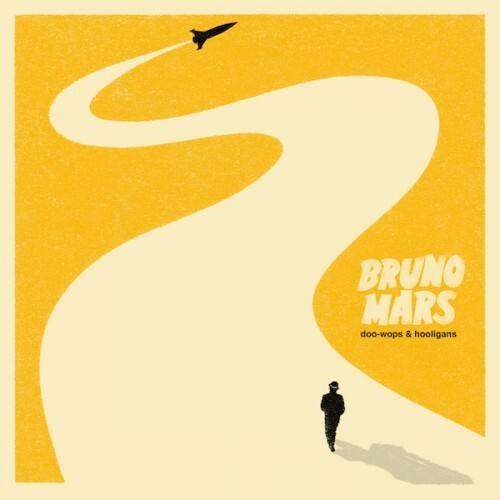 Newcomer Bruno Mars has broken into the big time with his debut album "Doo-Wops & Hooligans." It's his voice that first grabs your attention, but he is more than just another pop singer. His song-writing brings his talents to another level. Mars wrote songs for Travie McCoy (Gym Class Heroes), Adam Levine (Maroon 5), Brandy, Sean Kingston, and others. He as also been nominated for seven Grammys including "Best New Artist." His album begins with his hit #1 single "Grenade." The song's chorus is perfect for pop radio and has been compared to Michael Jackson's "Dirty Diana." The album just get better with the up-tempo beats of "Just The Way You Are" which also reached #1 on the Billboard singles chart. Mars slows down for "Our First Time" which shows us his maturity in song-writing. Mars picks up his guitar and rocks out on "Runaway Baby" and finds the rock groove for "The Lazy Song." Mars also invites a few guests to help out including Damien Marley on the reggae groove of "Liquor Store Blues" and Cee Lo Green on the motown injected album closer "The Other Side." "Doo-Wop & Hooligans" debuted at #3 on the Billboard album charts and continues to sell well. After the Grammys, Bruno Mars will be overseas selling out shows through March. Check out his website brunomars.com for tour dates, videos, merchandise and more. 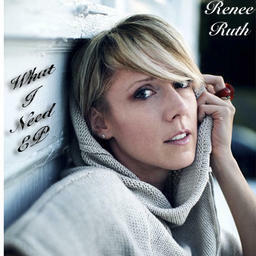 CD Review: Renee Ruth Has "Needs"
Indie artist Renee Ruth just released a new EP of brand new music entitled "What I Need." The softness of her voice floats over the piano in the album's opener "What I Need." Renee wastes no time displaying the range of her vocal talents. Her song-writing is simple, but effective making Renee's voice the focus of songs "Wanting Me" and "Broken." Her song "If I Go" has some great pop lyrics that need to be fleshed out with a complete band behind her. She draws strong similarities to songstress Jewel with her acoustic guitar and vocals in "Chasing Butterflies." "Closer To Me" returns Renee's vocals to flow along with a solo piano instrumentation. For more information on this blooming indie artist, visit her website http://www.reneeruthmusic.com/. CD Review: Enjoy Your Pumas Find A "Commonality"
Indie-rock band Enjoy Your Pumas is releasing their new album "Commonality" on February 1 on the Manitoba Film & Music label. This Canadian band is fronted by the powerful vocals of Rosanne Blais. Her voice draws a strong resemblance to Gwen Stefani of the ska/punk band No Doubt. But, Enjoy Your Pumas carries a more alternative rock sound similar to Radiohead. The gentle flow at the beginning of "Setback" quickly finds its groove during the song's chorus. The band's up-tempo beat in "Weight Of The Circles" gets guided by the song's simple, but catchy lyrics. Rosanne's voice against the piano backdrop in "Sister Rose" is a nice break before the dance-beats of "He Was A Fly" take over. The band really opens up on "It's Not A Loss" expanding their sound which continues into the aggressive sounding "We Aren't Cowboys." "No Man's A Failure" returns the band to their signature sound that concentrates on Rosanne vocals which shine on the album closer "Lucky Number Seven." Enjoy Your Pumas are drawing upon the success of their 2009 critically-acclaimed EP and the opening slots on one of Bon Jovi's and Kid Rock's Canadian tour stops. They only have one show booked at the moment on January 30. 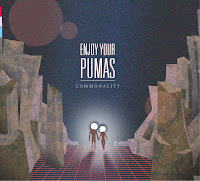 For more information on the band's new release, check out their myspace page (www.myspace.com/enjoyyourpumas). 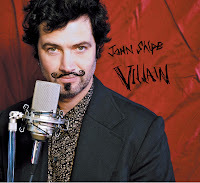 CD Review: John Shipe Plays The "Villain"
Singer/songwriter John Shipe will release his latest album, "Villain," on Involushun Records on February 1. Although he's been involved with numerous bands throughout his career, John finds his home on this latest release. The acoustic-folk sounding "Lion" is a pleasant beginning to the album. 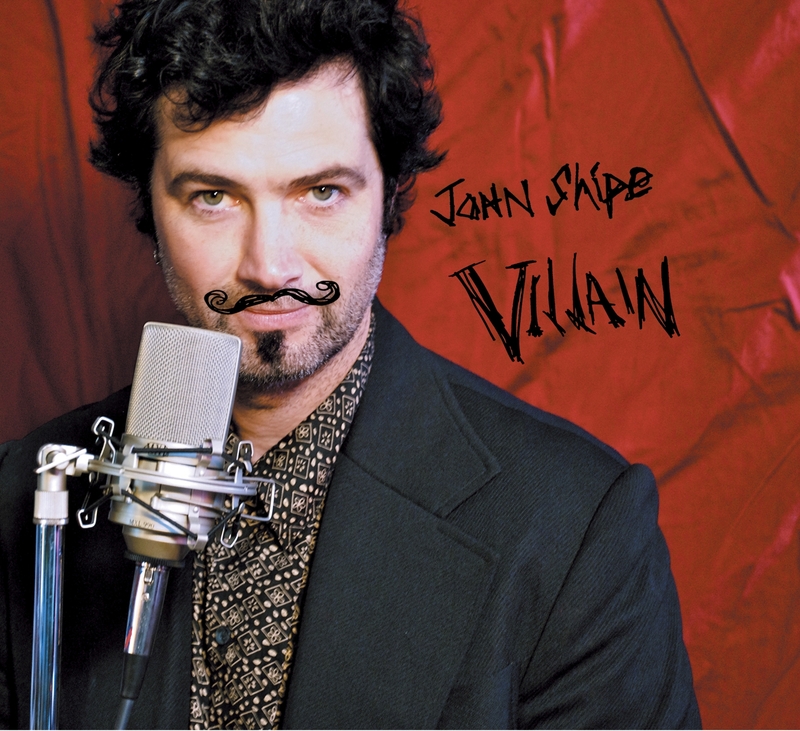 John Shipe doesn't stray far from that winning formula of gentle music and storytelling lyrics. The addition of Halie Loren on vocals in "Hard To Believe" is a nice touch to the songs message. Even the simple "Little Boats" is a great addition to this album. John tries to rock in "Another Disaster" but quickly returns to his gentle, safe pop sound in "Dead Kite" and "Feel Good Song." John does not have any tour dates scheduled at the moment, but check his website (johnshipe.com) for updates and song samples from the new album. Musical Supergroup Gives Us The "Stillwater Sessions"
The Stillwater Sessions is a combination of some great established artists just wanting to make some really good music. Singer/songwriter Fergus McGovern dove back into writing storied tales and surrounded himself with some talented musicians to flesh out his songs. "Living in Harmony" carries a great up-tempo beat provided by former David Gray drummer Clune. The music along with the positive lyrics make for a great song. Stillwater gets darker on the sound of "Infirmary," while "Falling" channels the early hungry sound of Bruce Springsteen's first few albums. The band flashes back to the 60's doo-wop days with "Only Time Gonna Tell," but return with the country sounding "Willing." The music Stillwater creates eases your mind with their sound and carries you on a journey with their lyrics. For more information on this "supergroup," please visit stillwatersessions.com. There you'll find song samples and updated artist information. CD Review: Lionize Give Us The "Deconstruction Manual"
Maryland band Lionize are preparing to release the follow-up to their award-winning 2009 album "Space Pope and the Glass Machine." 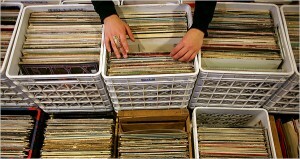 The album won the 2010 High Times Magazine's "Best Reggae/Soul Record." Their new album entitled "Deconstruction Manual" carries a more blues/rock/reggae sound, similar to Sublime's harder songs. Produced by J. Robbins of Jawbox, the album will be released in February on Hardline Entertainment. The album's lead-off track "You're Trying To Kill Me" is a great introduction to the album with sampling of LaMel Randolgh's rock drumming, Chris Brooks' Hammond organ and Nathan Berman's guitar and vocals. Their reggae sounds creep into "Savior of Fontana," before the band pulls off an Allman Brothers Band type riff on "Dumb and Dangerous." Lionize's jam-band mentality shines through on "D.C. Is Tropical." Henry Upton's bass groove is a key part in giving the songs a reggae vibe as in "Lava Rock." The band seems to experiment a little more with their combination of rock and reggae, but still keep a strong vibe to their music. 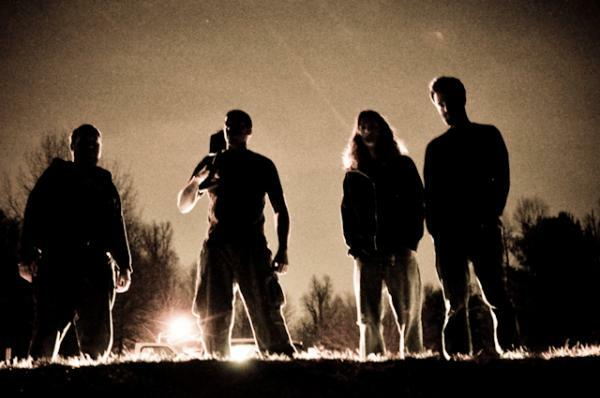 Lionize will be visiting the New England area at the beginning of February with Streetlight Manifesto. For more information on their new album and for a full list of tour dates visit lionizemusic.com. 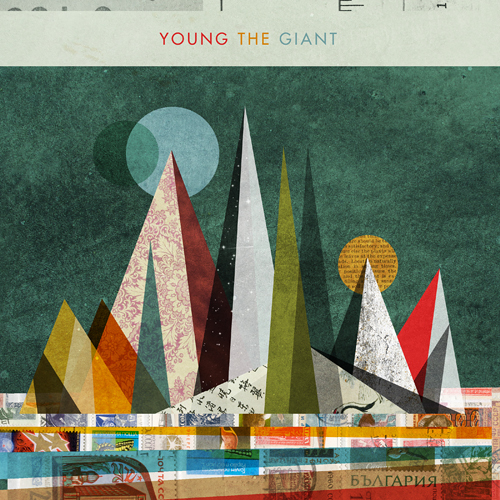 Newcomers Young The Giant will release their debut album on January 25 on Roadrunner Records. The band's first single "Apartment" is steadily rising up the alternative charts. The band will begin their national headlining tour on January 18 in Allston, MA. The album mixes influences of alternative rock (My Body, St. Walker) with bits of reggae (I Got, Islands) as the album's overall sound should appeal to the masses. The album's lead-off song "Apartment" only scratches the surface of how good this band sounds. The catchy melody of "Strings" and "Cough Syrup" are hard to forget as you find yourself singing the chorus. Young The Giant should find a long stay on the charts with the pop sounds of "Your Side" and "Guns Out." 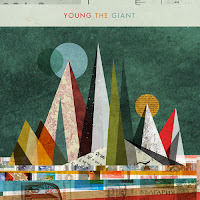 For a complete list of tour dates and updated album information, please visit youngthegiant.com. 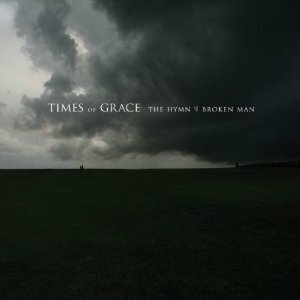 CD Review: Times Of Grace Debut "Broken Man"
Heavy Metal rockers Times of Grace are releasing their Roadrunner Records debut "The Hymn of a Broken Man." The duo consists of Killswitch Engage member Adam Dutkiewicz who handles the music and former member Jesse Leach who performs the vocals. After a few delays, the album will finally be released on January 18. The album's hard hitting sound begins with the drum-roll of "Strength of Numbers" as Jesse's lead vocals pushes the energy of the song's lyrics. The album's overall theme of fighting back from darkness is spread throughout the album's 13 tracks. The music that Adam produces is an all-out assault on the ears. The speed and chord changes of "Where The Spirit Leads Me" and the power of "Hymn of a Broken Man" are two excellent examples of what this duo are capable of. Times of Grace do show their gentler side with "Until The End Of Days" and the acoustic "The Forgotten One." The album closes with their most mainstream rock song "Fall From Grace." The band will be on tour beginning in February as they cross the United States and back. Visit the band's website (timesofgraceband.com) for a complete list of tour dates, videos and more. 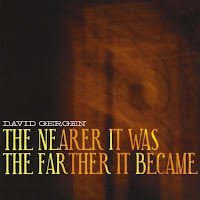 CD Review: David Gergen Brings Us "Nearer"
Singer, songwriter, musician David Gergen has been performing on his own for the last decade. His latest release "The Nearer It Was The Farther It Became" shows off the growth in his songwriting, drawing from his influences (Bob Dylan, David Bowie, Wilco). David's country blues sound soars on "The Streets I'm Walkin'". His songs perform better without the steady beat of a drum machine. The acoustic campfire sounding "It's Down Here" finds David in the perfect setting for his one-man sound. The album takes a slightly left turn with the experimental pop sounds of "Ore De Electro" and "Love Blues #11" before returning to his Johnny Cash interpretation "Thru A Fairy's White Cloud." His voice meshes the best with simple arrangements as with an acoustic guitar in "Blues For Sale" and a piano in "The Other Side Of The Sea." 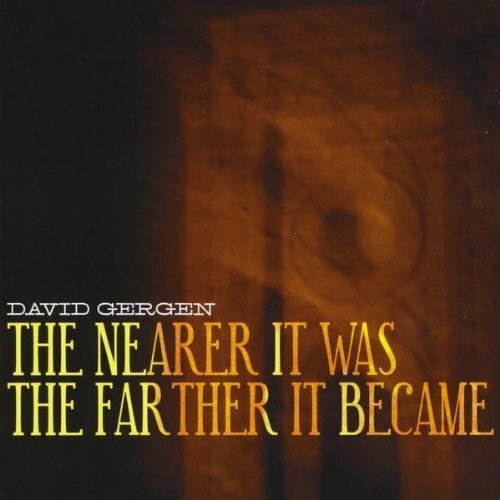 David Gergen's new album "The Nearer It Was the Farther It Became" will be released on January 18. For more information, visit his myspace page (www.myspace.com/davidgergen). 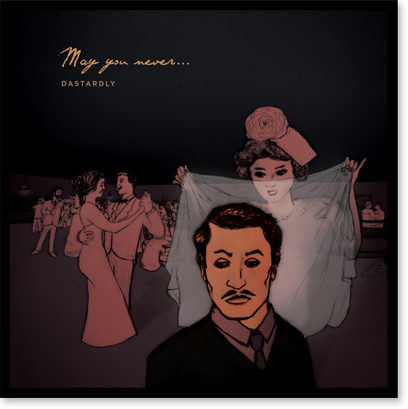 Indie band Dastardly have recently released their debut album entitled "May You Never...". The band combines the southern-Americana sound with crooner singing styles. The combined influences of Roy Orbison and the Carter Family make for an interesting album. As you listen, you wonder how they pull it off, but then why shouldn't it work. The short 7-song album flows from song to song without a break in-between to keep the listener on their toes. Up-tempo strumming and hand-clapping beats fill the speakers. "Exercises In Self-Loathing" sounds like a Johnny Cash & June Carter duet that Dastardly pulls-off with ease. The end of the album slows down with "Morning Blue" which comes accross like a sweet folk ballad and closes with the slow-mosing of "Traffic." Dastardly will be visiting the east coast at the beginning tour, stopping in New York, Massachusetts and Rhode Island. For a complete list of tour dates and album information on this new band, visit their myspace page (www.myspace.com/dastardlytheband). Newcomer Brittany Jean has been performing solo before she received her big break last year opening for the group, Hanson. She did not have any of her material recorded, until now. "Paris Stairs" is her first EP including the songs she's perfected live on stage over the years. 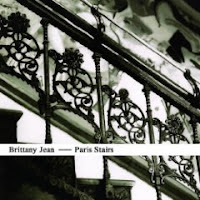 The album's title song "Paris Stairs" shows off Brittany's hard rock edge. Her strong dominating vocals gets your heart pumping as the trio of musicians brings the assault on the senses. She shows us her radio-friendly pop side with "On The Balcony" and "White Sheets." The album's closing song "No One Runs" allows her and her band to expand their sound while her voice guides them through. For more information on this latest star on the music scene, please visit her myspace page (www.myspace.com/brittanyjean).